**New for 2014. 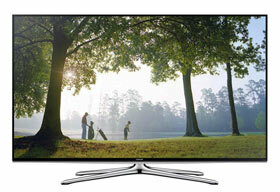 The UN55H6350 is Samsung’s Best LED backlit 55-inch TV from Samsung without 3D. This full HD 1080p HDTV is a Smart TV and has DLNA CERTIFIED® connectivity to let you remotely access music, video, and photos from your computer, phone and other devices. 120Hz combined with CMR 240 provides blur free, clear motion when watching fast action sports or movies. The 1080p display has over two million pixel resolution, along with DTS Premium Sound™ 5.1 with two 10 watt speakers. Swivel Stand: Allows you to direct the screen left or right. 2014 Smart TV: The Samsung H6350 series TV has been upgraded in 2014 with a Quad Core Processor to speed up Smart TV operations, allow multitasking and provide new TV functions. The UN55H6350 is Internet Ready allowing you to access Netflix (with subscription), Amazon, Youtube, Facebook, Weather, Blockbuster, Hulu Plus, Twitter, Sports and more. This year’s model comes with a Full Web Browser. You can access this content wirelessly through your home network with the Built-in wireless WiFi Adapter or plugin an ethernet cable. ConnectShare™ Movie allows you to plug in USB devices to your TV and watch content on the big screen. 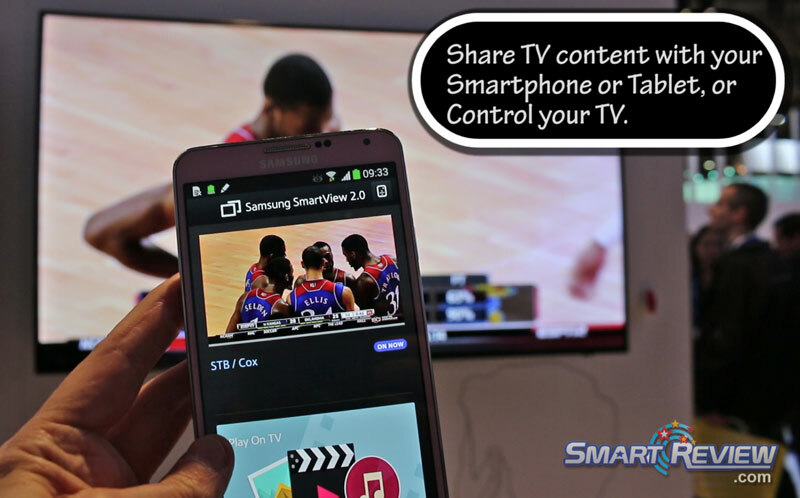 SmartView 2.0 allows you to stream TV content to your Smartphone or tablet. The 55-Inch UN55H6350 has an Ultra Slim Design, and has an ultra slim bezel. Energy Star compliant. ATSC with QAM digital TV tuners built in. 1 Component video input, and 4 HDMI inputs for full HD connectivity for DVD players, Blu-ray, PS3, PS4, Camcorders, PCs and a range of other digital devices. Stereo mini jack output. Digital Optical output, 3 USB 2.0 ports for digital photo/video/MP3 playback, Ethernet port. 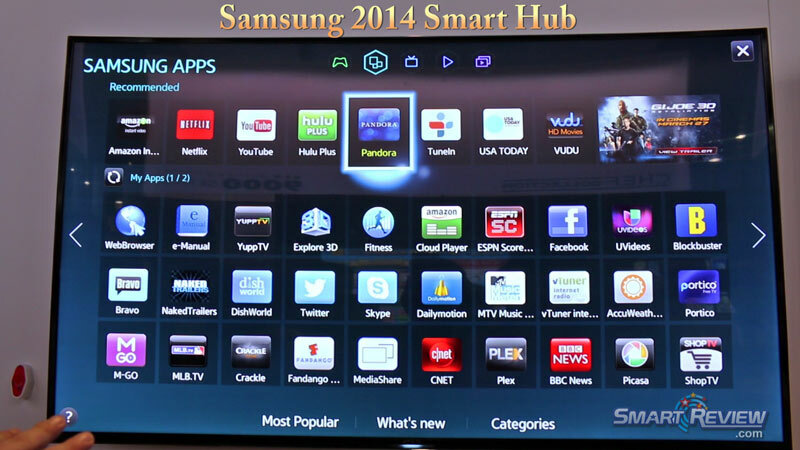 Smart-Review Commentary: For 2014, The 55-inch UN55H6350 is Samsung’s Best LED TV without 3D. Its CMR 240 and 120Hz refresh rate plus backlight scanning helps to reduce motion blur for fast moving action such as sports or movies. This 2014 model upgrades last year’s model by adding a Quad Core Processor (for greater speed and multitasking), reducing weight, and providing better energy efficiency. As a Smart TV, this one features Netflix®, Facebook, Youtube Hulu Plus™, Skype, ESPN ScoreCenter, a full web browser and more. SmartView 2.0 allows you to share content with your tablet or smartphone, streaming content to these devices. AllShare DLNA technology allows you to share video and pictures from your computer and other devices wirelessly. This TV has a Built-in WiFi Adapter, so there is nothing extra to buy. Its LED backlit screen is Energy Star Certified for lower power consumption. The UN55H6350 comes with an illuminated universal remote for easy access in the dark. We previewed this model at CES 2014, and it had excellent picture quality. This is a substantial upgrade from last year’s F6300 model. The UN55H6350 will be popular for those that do not need or want 3D. It is a SmartReview Top Pick for 2014. If you upgrade to the H6400 Series, you get Samsung’s premium Micro Dimming technology which controls and enhances LED screen brightness, for even whiter whites and deeper blacks. The Clear motion rate doubles (to 480), making fast moving action smoother. This model adds 3D Ready capability and includes 2 Pairs of 3D Active Glasses. 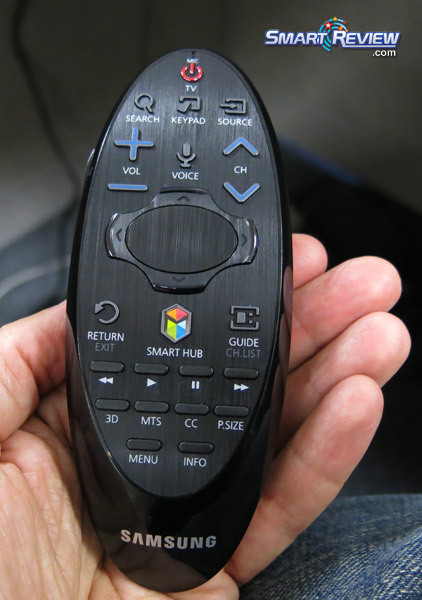 You will get the Smart Touch Remote, which has a touchpad and microphone for enhanced Smart TV operations. All of these upgrades for a modest cost increase over the H6350 Series.